Windows 8 Samsung tablets are released in Microsoft Build conference. After windows 8 tablets release in build conference, many experts started comparing Windows 8 tablets with Amazon kindle fire tablet. Amazon kindle fire tablet is giving high competition to Windows 8 tablets, Apple iPad and Android phones. Read this article to know more about Windows 8 tablets vs Amazon kindle fire comparison. Windows 8 Samsung tablets were demonstrated by Microsoft in Build Conference. Microsoft gifted Windows 8 tablets to developers so as to implement improved app store in Windows 8 OS. Windows 8 tablets are expected to be out in the year 2012. Many new tablets have already come out to compete with Windows 8 tablet. One of them is Amazon Kindle fire tablet. Many people believe that Windows 8 Tablet PCs vs Amazon Kindle Fire tablet comparison game will gain popularity once Windows 8 got official approval because Microsoft still not make windows 8 transparent to its customers. Some features of Windows 8 Tablet PCs have to come yet. So, I believe it is early to compare Windows 8 tablets with Amazon kindle fire tablets. Every forum and news website reviewing shows that Amazon kindle fire tablet will compete with Windows 8 tablets, Apple iPad and Android tablets. Windows 8 tablets are still one year away from its look although people believe that making Amazon kindle fire comparison with Windows 8 tablets is full of worthy process to execute. Some buyers want some new interface in tablets to getting rid of Apple and Android tablets. So they are looking for some other options. Before the release of Amazon tablets, customers did not have option to switch their tablet but now they got an option to switch Apple's iPad or Amazon Tablet PCs with Amazon tablets. There are two expected tablets brands other than Apple and Android i.e. Windows 8 tablets and Amazon kindle fire. When we compare Windows 8 tablets with Amazon tablets then buying choice of customers are not based on one factor only. It's not only concern with ultimate user interface but consist of many parameters like apps, data usage plans, price, battery life, weight, dimensions, processor, storage capacity, camera, video recording, overall look and feel and many more factors too. At this point of time, we are not aware with Windows 8 Tablet PCs apps and data plans so we expect huge competition between Amazon and Windows 8 tablets in coming year. If you are an Apple and iPad consumer and want to experience some new user interface with extra-ordinary features then Amazon Kindle Fire Tablet is the best option for you. At this point of time, we are not aware with Windows 8 apps for tablets and data. As far as portability of tablets is concerned then I must say it is one of the most important factors which needs to be in mind while going to purchase tablets because if you are not comfortable with tablet then it will not going to be your best friend. It must have excellent battery life so that no need to carry extra batteries and power cords. It must have high booting speed which loads the operating system quickly and enable instant start and finish mechanism. Windows 8 Samsung tablets shown by Microsoft in build conference do not seem to be much portable in comparison with 7-inch 14.6 ounce kindle fire tablet. Microsoftis not making any rush in market and playing wait and watch game and they do not bother what other vendors doing and what are their tablet price? The price of Amazon kindle fire tablet is expected to $ 200 and it is too much cheaper in comparison with Apple iPad and Android tablets. What about Windows 8 tablets price? We believe that Microsoft is quite capable for adopting promotion strategy worldwide and if Microsoft can subsidize its tablets price then this will not be any surprise for customers. One good feature with Windows 8 Operating System is its cloud integration with Windows live ID's that synchronizes tablet settings with online options. Many believe that Windows Skydrive will act as the wildcard for Microsoft because it allows unlimited storage of photos and documents on the web. The picture will be clearer when Windows 8 tablet features will be declared publicly. Amazon Kindle Fire Tablet PC review and specifications are given here. Reviews of hardware, software along with its limitations of Amazon Kindle Fire are provided. We also provide the specifications, details of applications store of Amazon Kindle Fire Android Tablet, Amazon Silk browser and its flash support, limitations and drawbacks, launch date and price of Amazon Kindle Fire. Release date in India and Price in India are also given. How to get Ice Cream Sandwich update for Amazon Kindle Fire is explained here in detail. 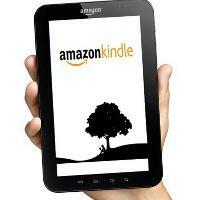 We will provide the complete instructions to build ICS update on your Amazon Kindle Fire. Also possible effects and working of Amazon Kindle Fire with ICS update is discussed here. ICS update on Amazon Kindle Fire was originally developed by xda. Amazon is a company that is known for its exhaustive library of e-books, hence the company recently launched its biggest Kindle Fire HD 8.9. Sporting an 8.9 inch display and a much improved 1.5Ghz dual core processor, this device offers good value for money. Google have recently launched the 32 GB 3G and WiFi model of Asus Google Nexus 7 and creating hue and cry in the market with its amazing features and specifications. It has beaten all the records set by various tablets like Apple iPad mini, Galaxy Tab 2, Kindle Fire HD etc. In this article, I am going to compare the Google Nexus 7 with the Kindle Fire HD based on their features, specifications and prices in India. So, go through this article to know more about these two amazing tablets.